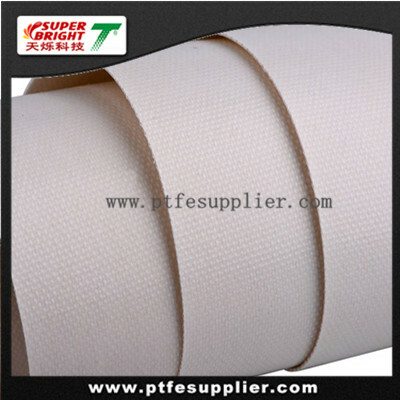 PTFE FABRICS are made from woven fiberglass cloth that has been coated with PTFE resin. 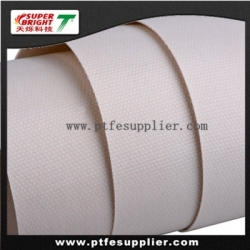 It has strongest, most durable line of PTFE coated woven fiberglass fabrics integrates a proprietary additive to maximize flexibility and minimize tearing. 1) Good tempareture tolerance, 24 hour working temperature -70 to 260 celsius degree. 2) Non stick, easy to clear adhesives on the surface. 3) Good chemical resistance: it can almostlyy resist most of chemial madicines acids, alkalis, and salt; fireproof, lower in aging. 1) Used as various of liners to resist high temperature, such as microwave liner, oven liner, or other liners. 2) Used as stick liners intermediate. 3) Used as various conveyor belts, fusing belts, sealing belts or anywhere need resisting high temperature, non stick, cemical resistance etc. 4) Used as covering or wrapping material in petroleum, chemical industries, as wrapping material, insulating material, high temperature resistance material in electrical industries, desulfurizing material in power plant etc.